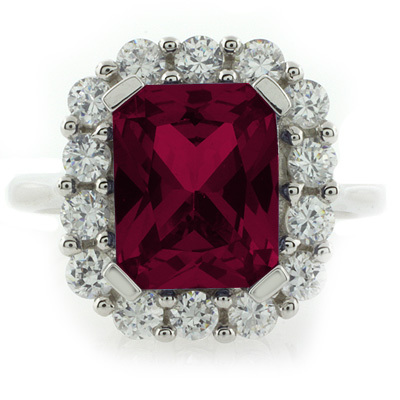 Beautiful Red Ruby Silver Ring. Don't wait for a special event to wear this gorgeous ring, this is the perfect choice for the ring that who wants their hand to look nice. Bright and vivid, the color of an (approx = 4 carat) ( 11 mm x 8 mm) emerald-cut Red Ruby Stone at the heart of this ring is striking. 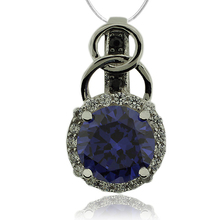 White Cubic Zirconia accents are placed in a very elegant setting. 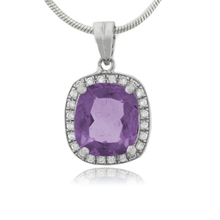 Fashioned in .925 sterling silver, the style offers a remarkable look. 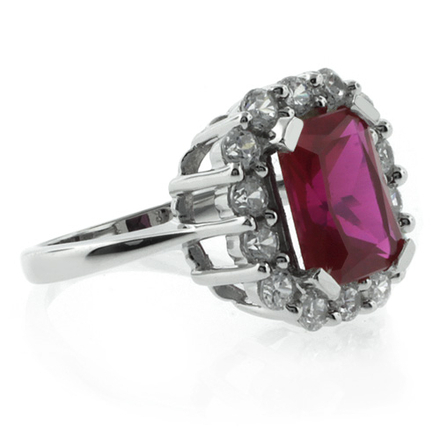 Ruby, the traditional birthstone for July. 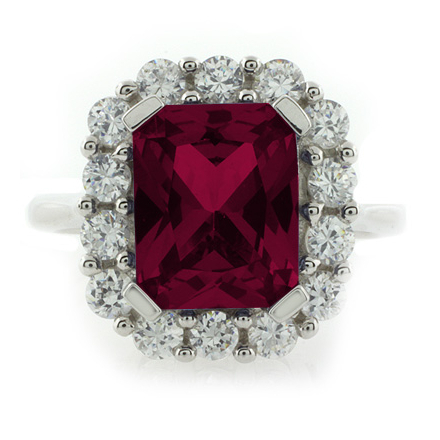 Ruby rings are among the most popular types of jewelry ruby and an adult are all very expensive. 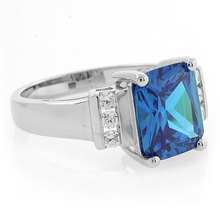 As we all know that the price of any gem depends on four basis points cut, clarity, color and carat weight. more specific should be more valuable to the high cost to the consumer. If you are planning to bring a girlfriend or finding some way for the bride or wife, presenting, ruby engagement ring as a gift for your girl makes love so happy that one simple smile on his flat and it is all worth the money . 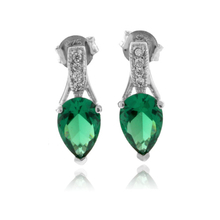 Since Ruby jewelry is available in an expensive option as an individual should think twice before buying. It would be good if you can do in person, so you can choose the perfect ring that best suits her or not they would have been unnecessary trouble, if the ruby ring is not suitable after purchase.